There's no doubt about it, we love Hawaii. Truthfully, it was a vacation that we really couldn't afford at the moment given that we made the commitment to a new home back in August last year. A deal came along with the Westin that we couldn't pass up and we used our Avion points for all three tickets so it saved us a bundle. So hello Hawaii it was! We left on February 28th and stayed for 12 nights total. I came down with a stomach bug 3 days before we left which really sucked but having to stay home from work, gave me the time to prepare for my "album on the go". I find that if I want to document our trip, I have to do it while on the trip or else it will never get done (I really speak from experience here. heehee). There's always more important things to do when back in our daily lives. Don't you agree? I used this time to pick out all my cards that I wanted to use and plan out each section which is basically one day of each trip. I find that this breakdown helps me to plan how many page protectors that I'll need. I didn't pre-pick out all my cards with my previous "albums on the go" - Disneyland & Mexico and Hawaii 2013. That wasted valuable vacation time where I could be doing other things. 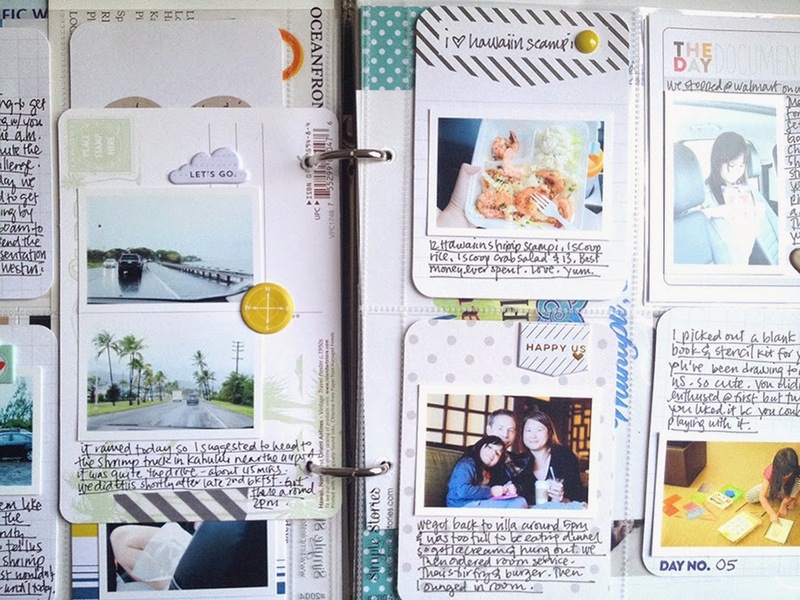 So if you have a few hours here and there before your trip date, plan out your album then all you'll do on the trip is 1) print your photos at the end of your day to tell your story. 2) paste your photos onto the cards. 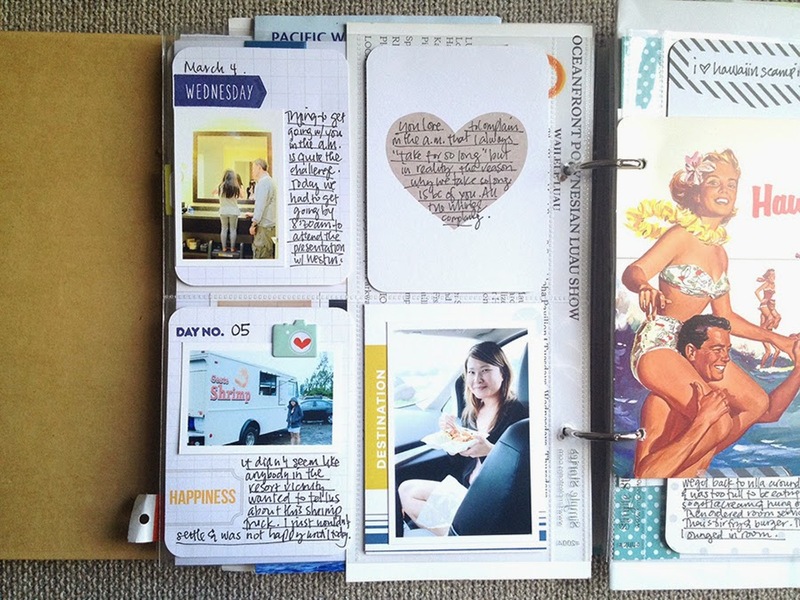 3) add journaling. 4) add fun & cute stickers and stamped images. I used some new goods that will be in our next shop update. The weekday banners stamp is one of the new products. Having a nice set of days of the week stamp is a must bring on any trip because of the way I break down my book or else the whole trip would just blend into one big day. I like to document what I did each day of the trip so that it's easier to jog my poor memory later. Hoping to share more of this album soon. 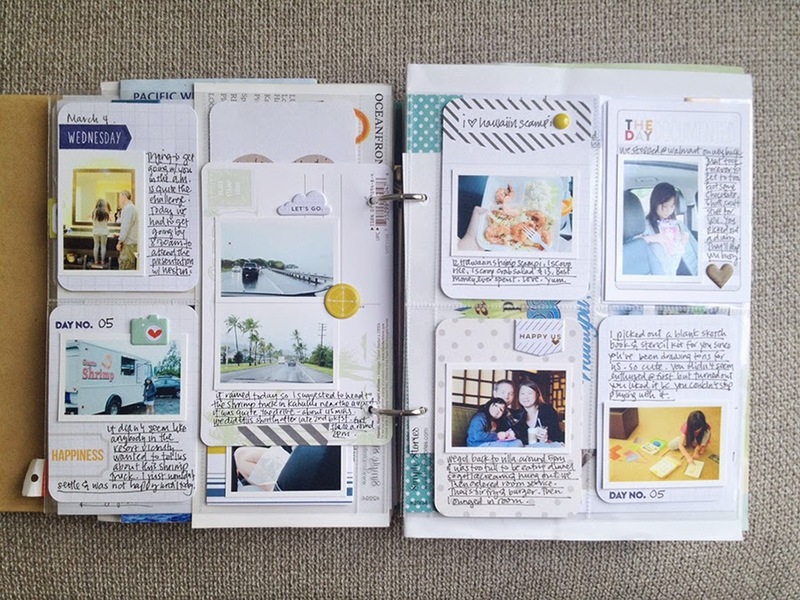 See your vacation albums and how you work your magic with your products is one of my favorite things! Thanks Christine! Can't wait to share more. You're so smart to do this on your trip! Love it.